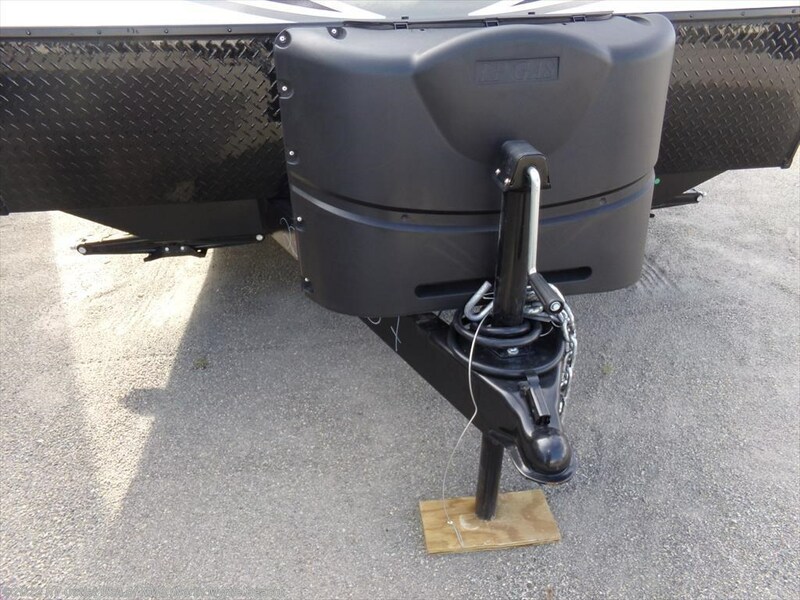 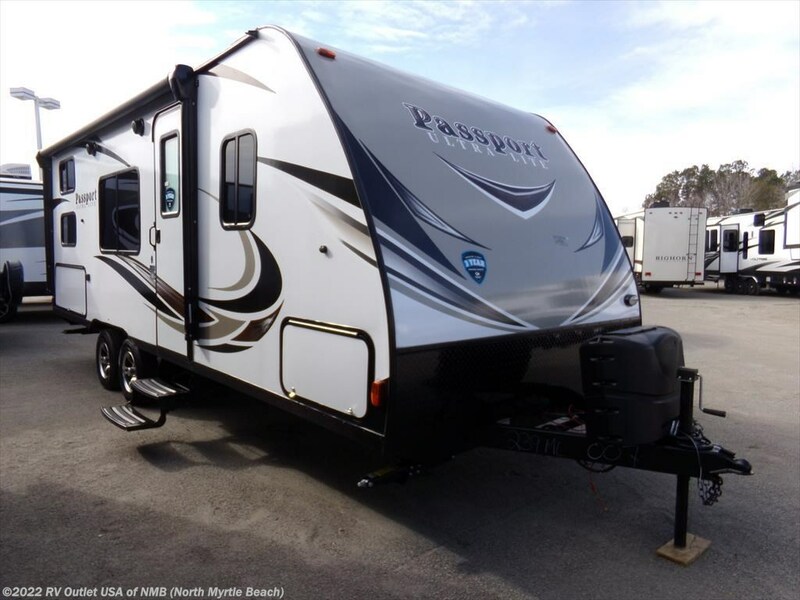 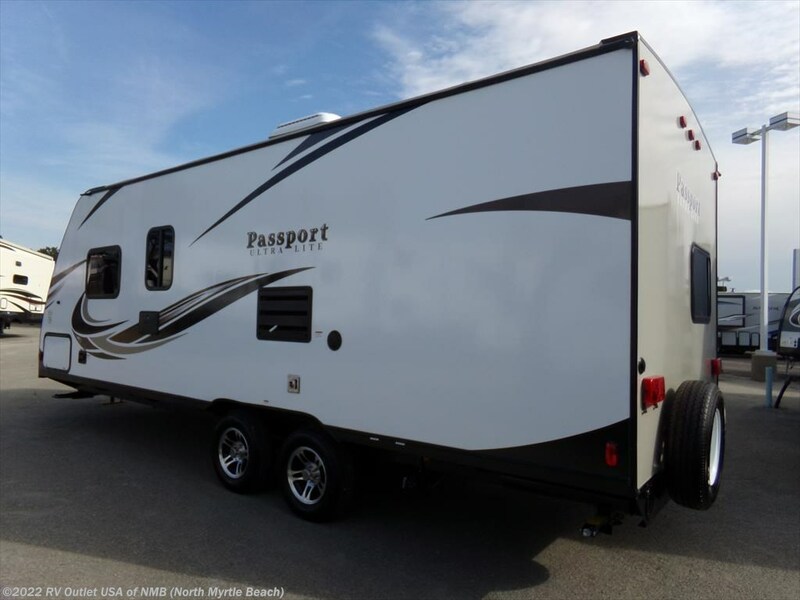 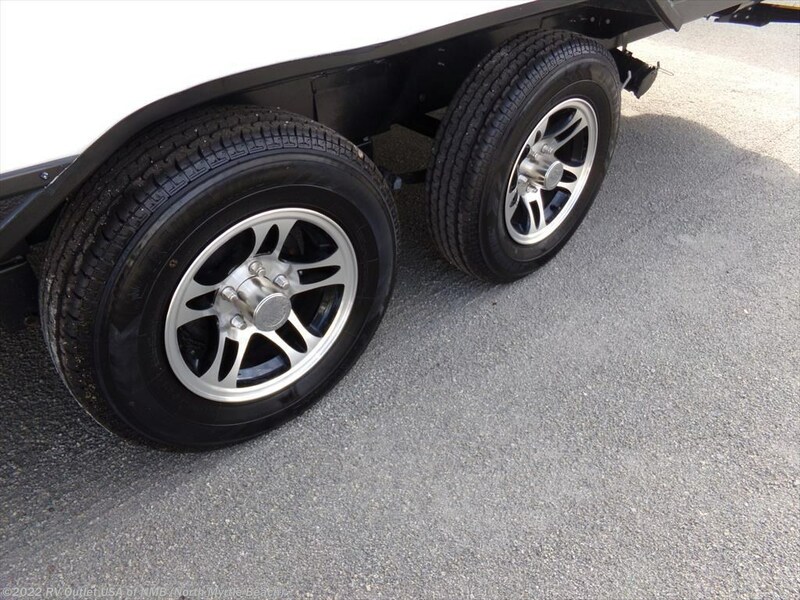 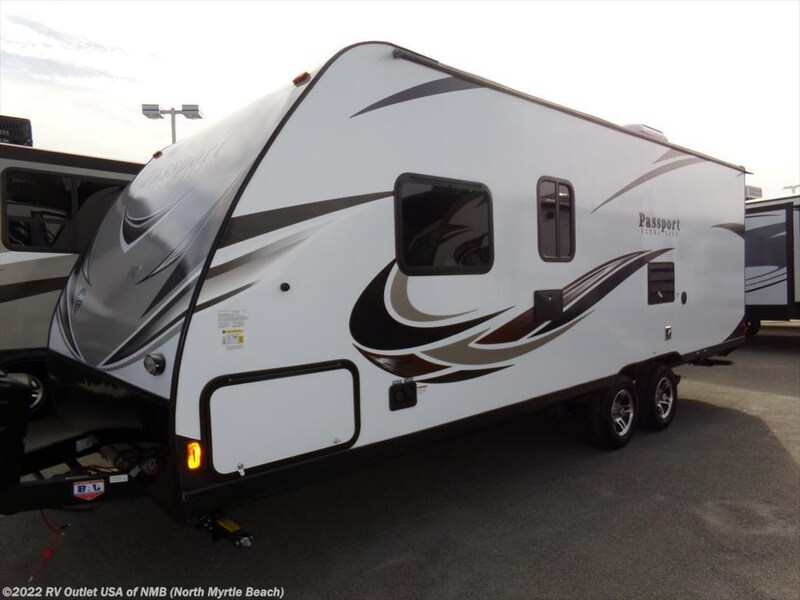 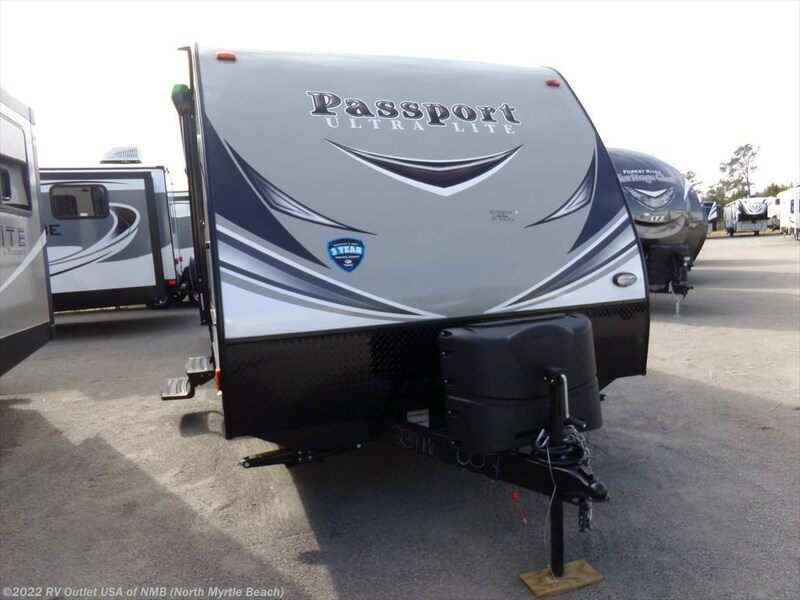 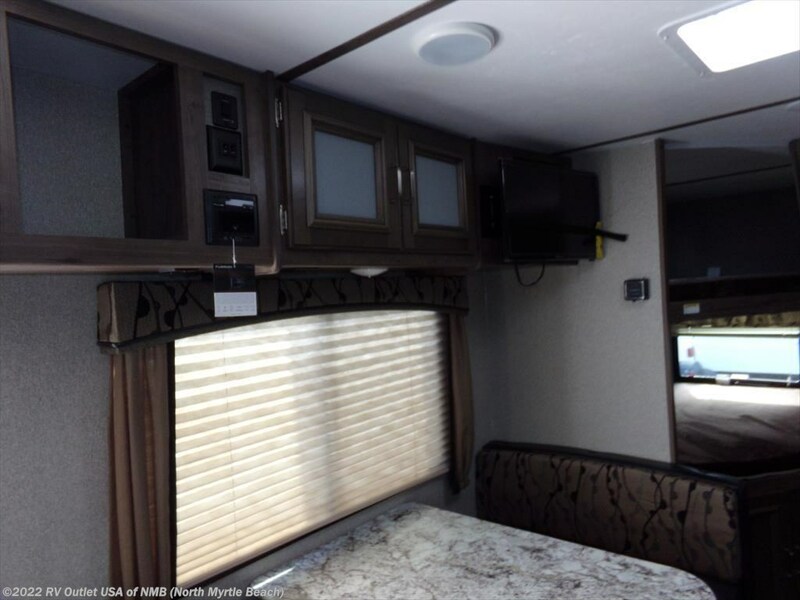 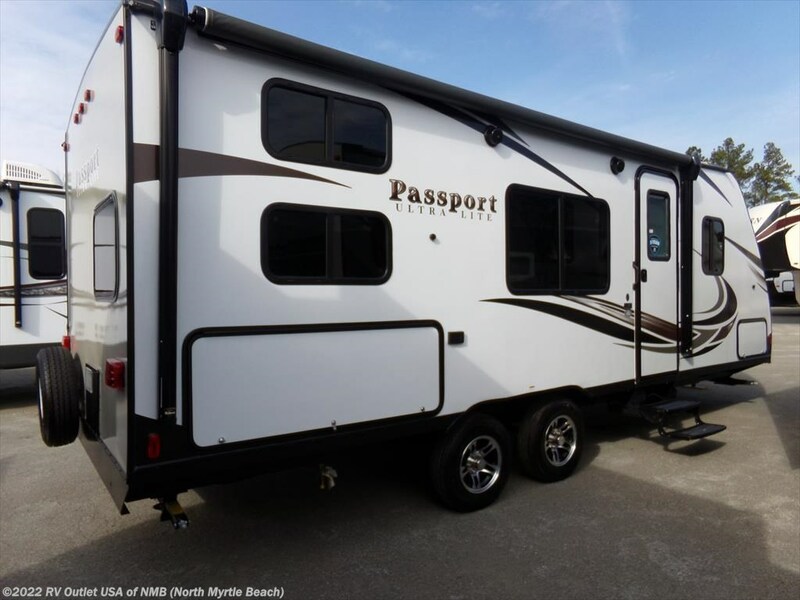 This is a great travel trailer that is loaded with features! 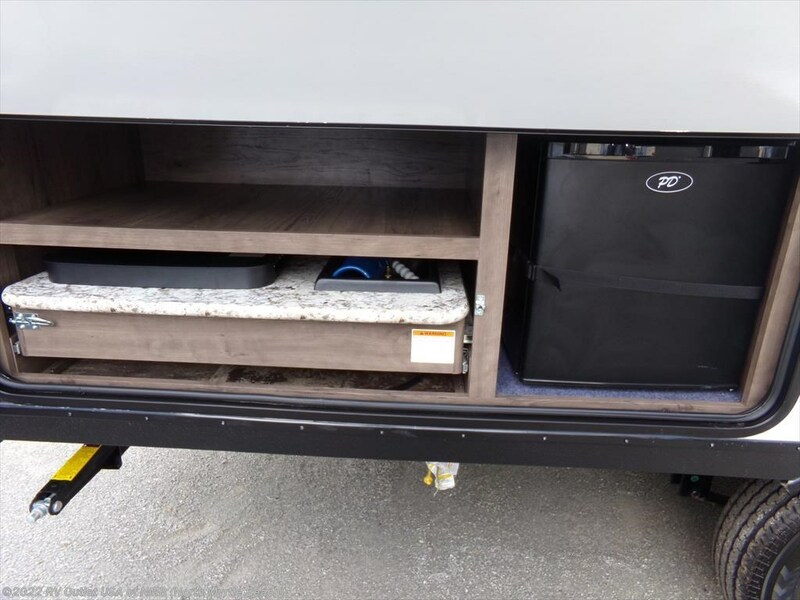 It weights 5400 lbs and has outside kitchen, bunk beds, Murphy bed, dinette, and the list goes on. 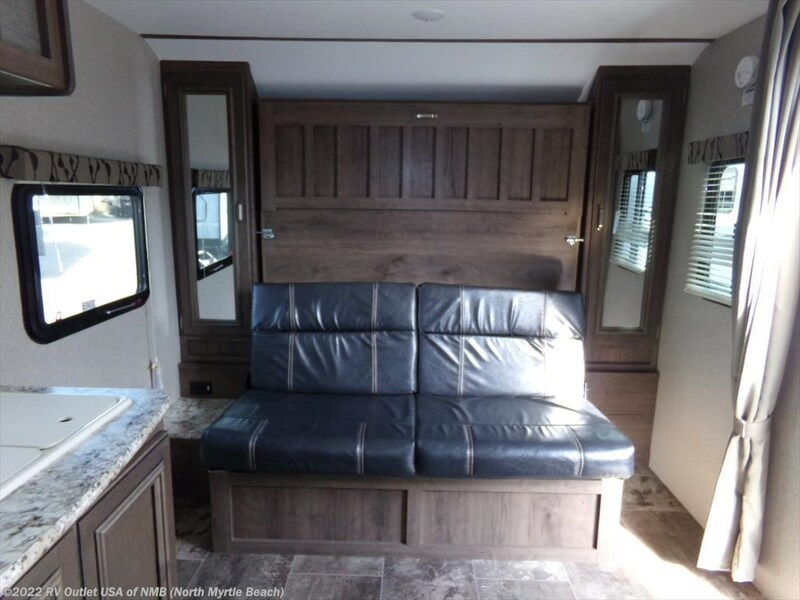 The front living area offer a sofa and a Murphy bed with side wardrobes. 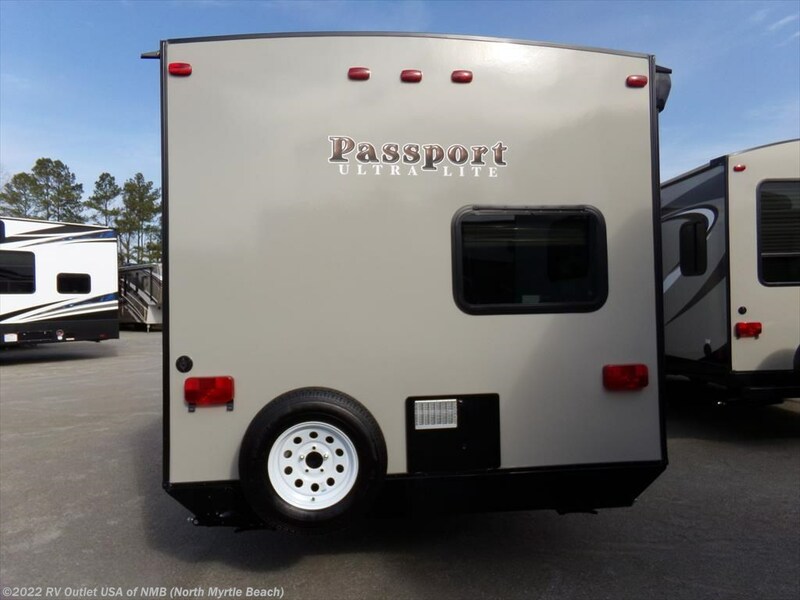 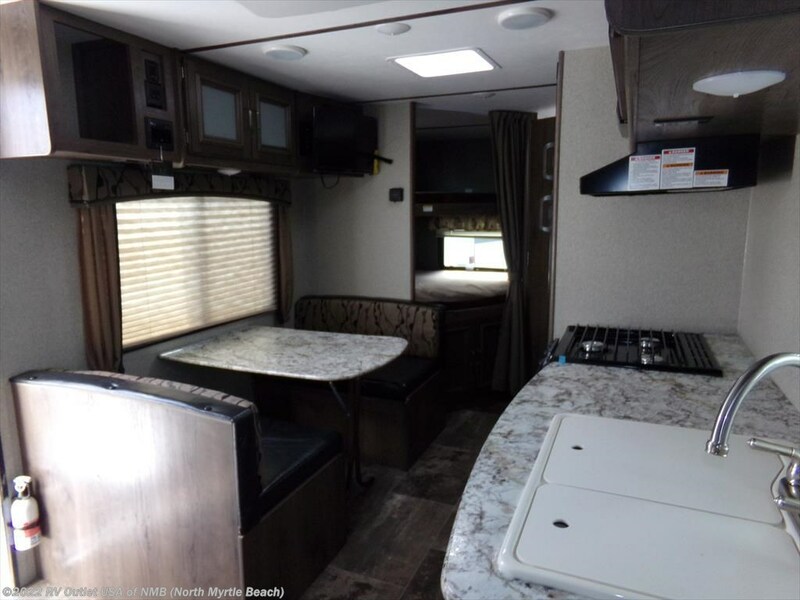 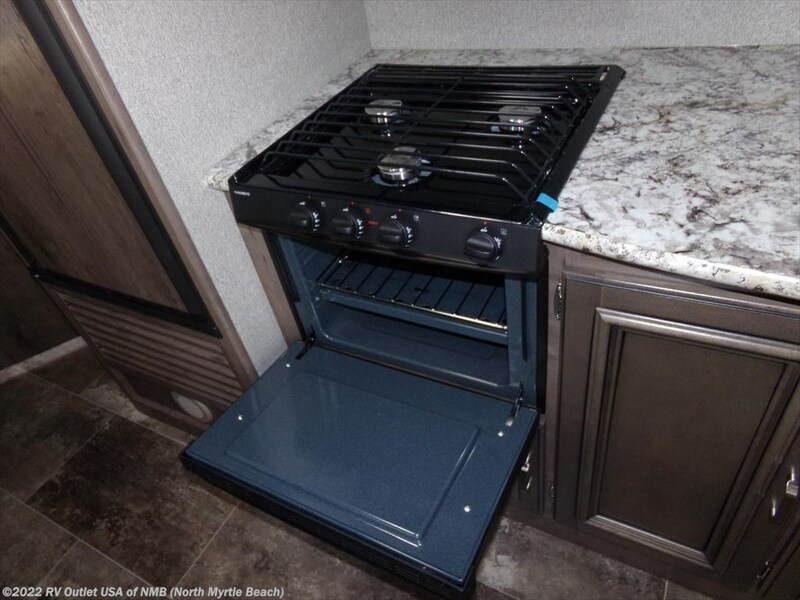 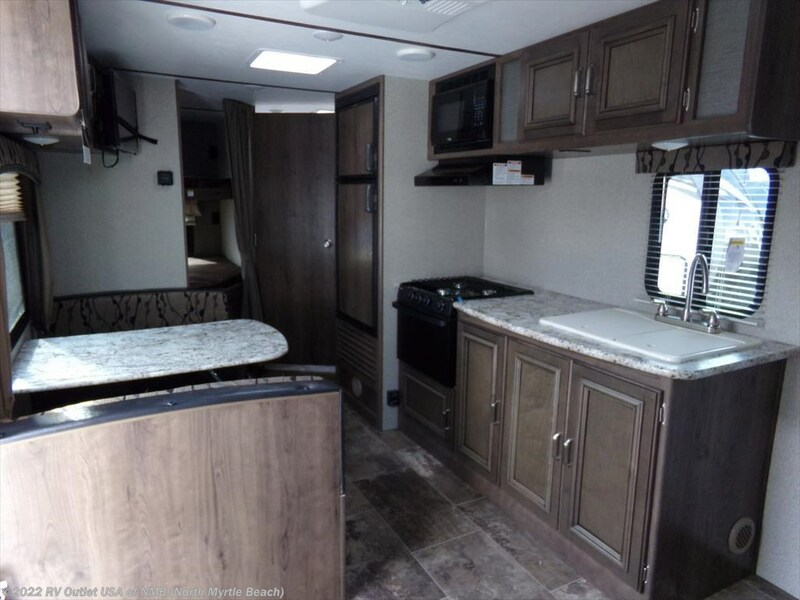 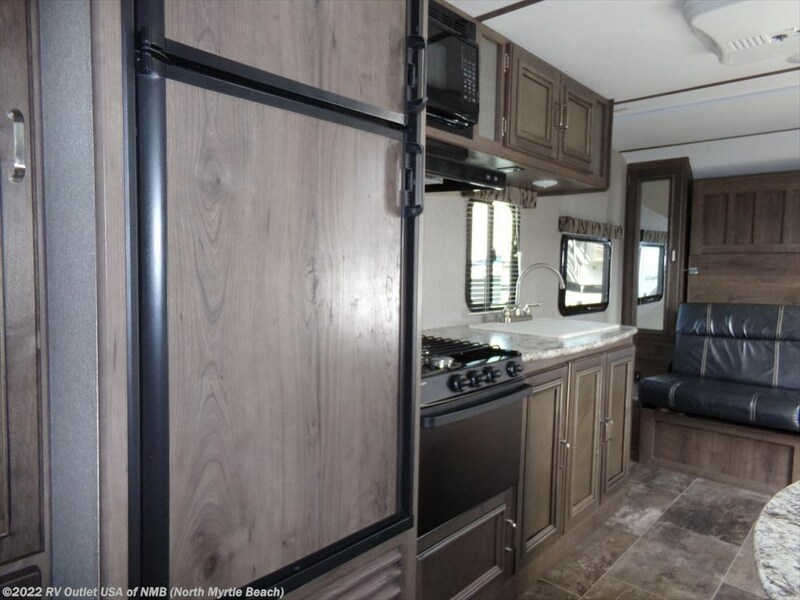 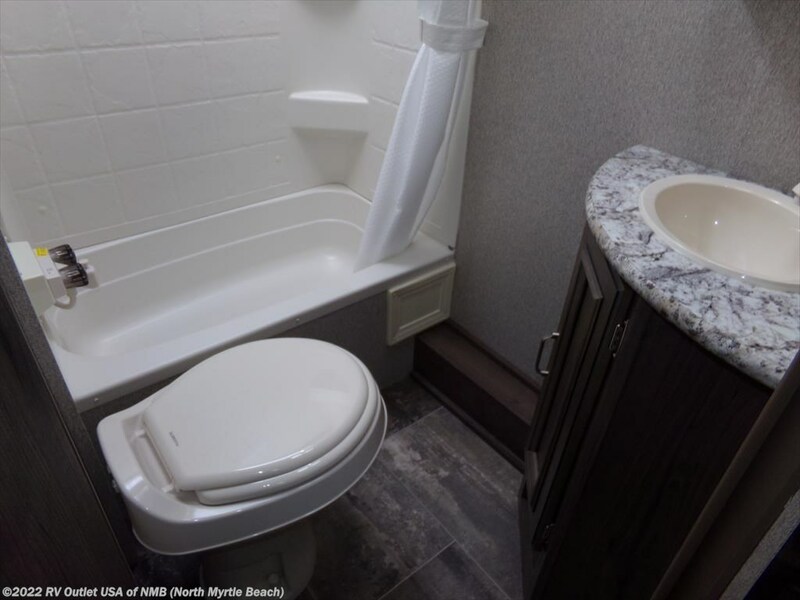 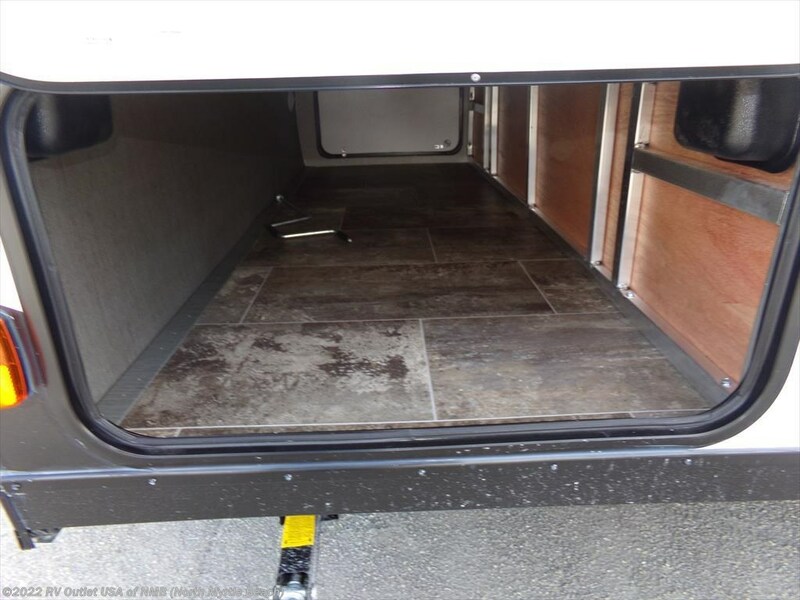 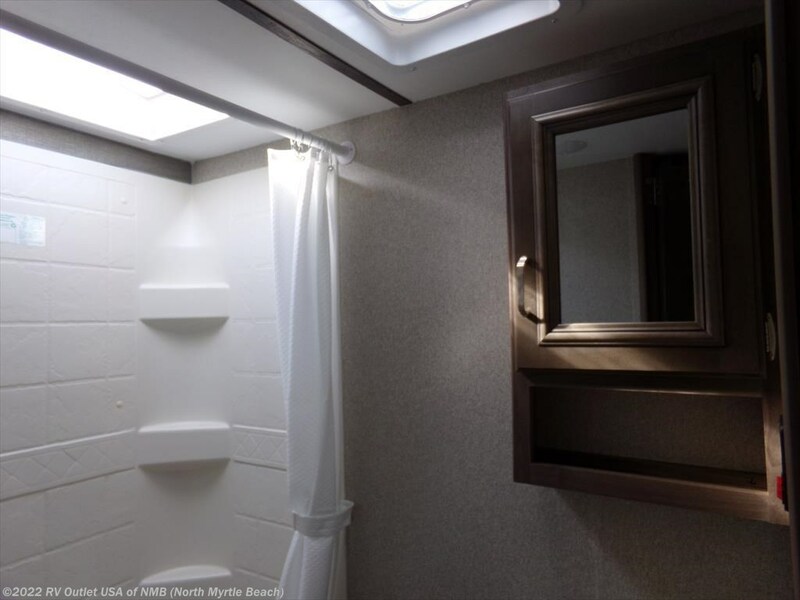 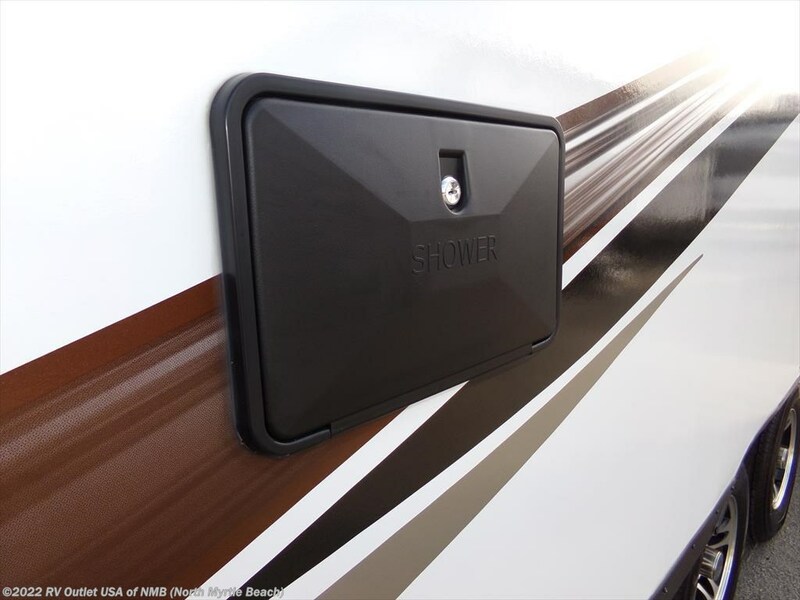 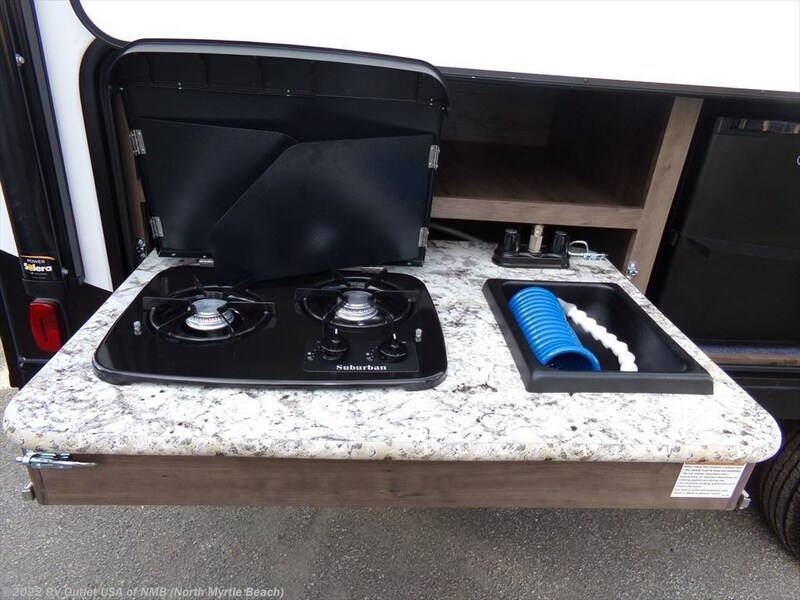 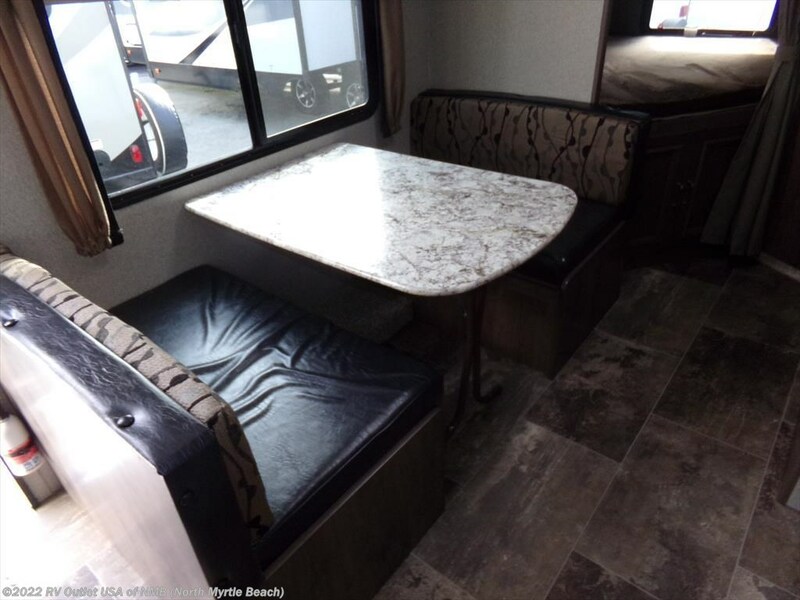 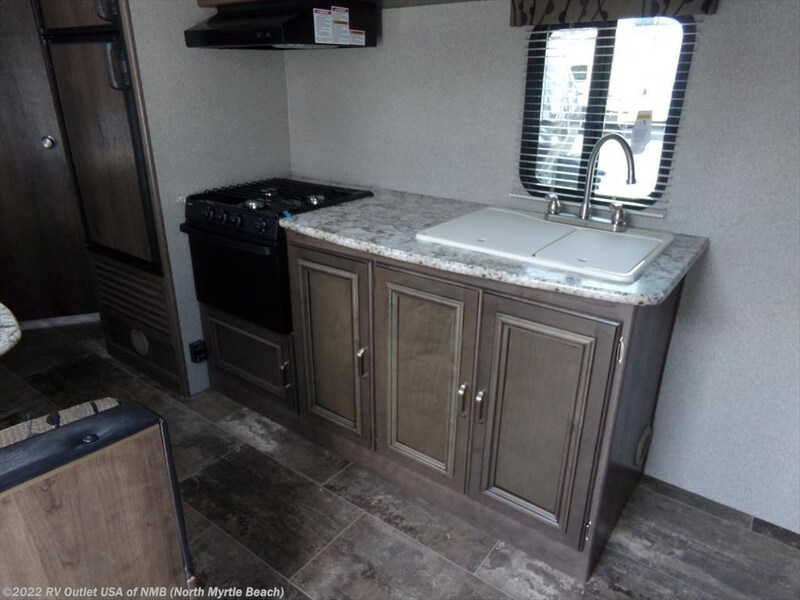 The rear of this RV has the bath room is enclosed for privacy and offers a toilet, sink, medicine cabinet, shower and storage. 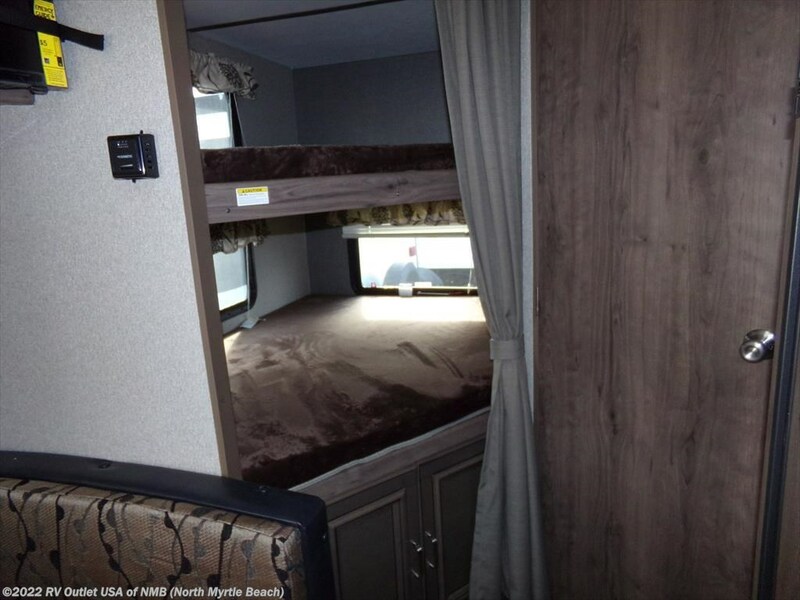 There is also bunk beds which is perfect for the children. 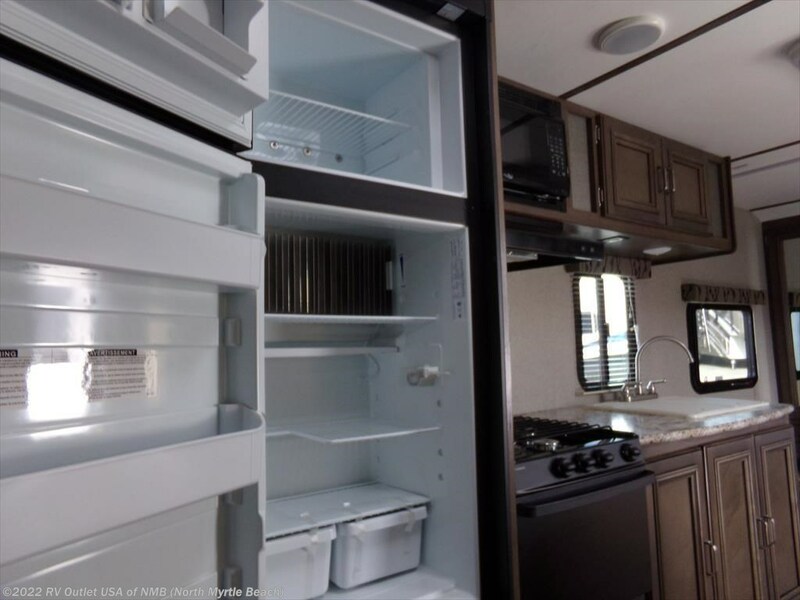 The spacious center kitchen is fully equipped with a refrigerator, microwave, stovetop oven, pantry and a double sink. 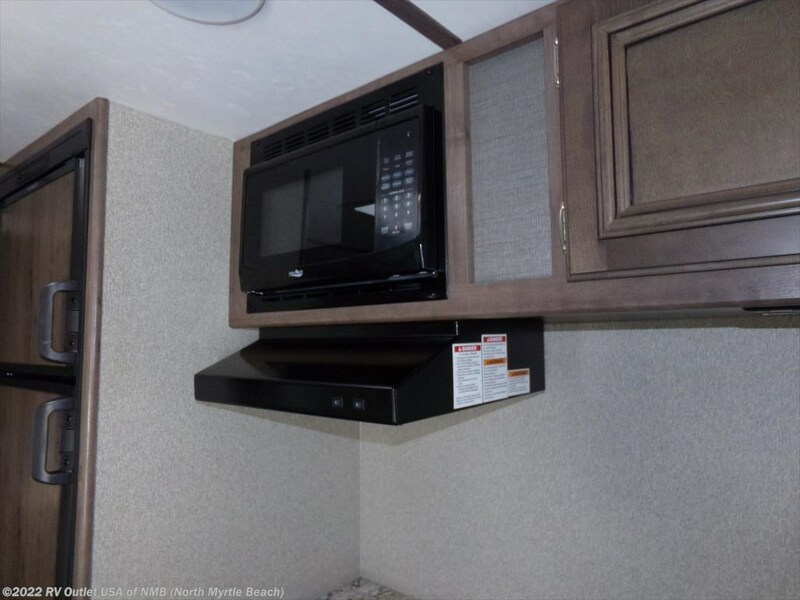 Across from the kitchen is the booth dinette.